With its powerful MiG-29s swatting away Pakistani F-16s, the Indian Air Force’s MiG-21, MiG-27 and Mirage-2000 jets were able to devastate Pakistani military positions with impunity during the 1999 conflict. India was minutes away from bombing Pakistan on June 13, 1999 during the Kargil War. The Indian Air Force had deployed 16 jet fighters, mostly MiGs, for carrying out attacks deep into enemy territory. Although the final clearance to cross the Line of Control (LoC) in Kashmir was never given by the political leadership, the IAF was able to inflict considerable damage on Pakistani forces while operating within the confines of its own airspace. The IAF’s employment of airpower against Pakistan Army positions at Himalayan heights of 18,000 ft – unprecedented in the history of aerial warfare – achieved three key objectives: it ensured an early Indian victory, demoralised the Pakistani military and showed the limitations of nuclear deterrence. Because of the aerial superiority achieved by the IAF in the war – and later during the 2002 border standoff – the Pakistan Air Force’s “psyche took a big beating”, says a Strategy Page report. 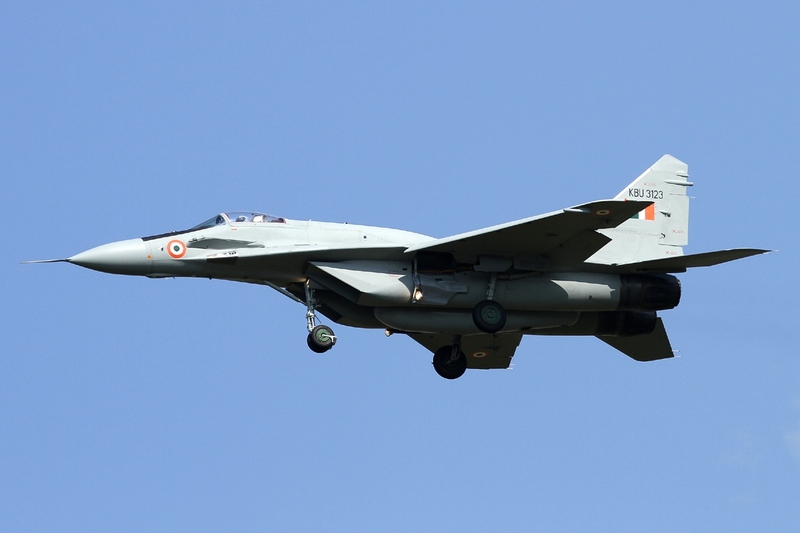 While a number of IAF aircraft took part in the Kargil campaign, it was the cover provided by the MiG-29 Fulcrum armed with beyond visual range (BVR) missiles that exposed the PAF’s plight. “Analyses by Pakistani experts revealed that when the rubber met the road, PAF simply refused to play any part in support of the Pakistan Army, angering the latter,” says the report. However, the MiG-21s, MiG-23s and MiG-27s – lacking modern weapons – were not making a significant impact on hard to locate enemy positions. MiG-23 and MiG-27 pilots were used to manual dive bombing runs, and this tactic wasn’t suited in the rarefied atmosphere of the Himalayas. At this point, the IAF introduced the Mirage 2000H equipped with day and night laser-guided bomb delivery pods. As stated in US air manuals, “Air power produces physical and psychological shock by dominating the fourth dimension of time. Shock results in confusion and disorientation.” At the same time, the Indian Army was pounding away at the Pakistani positions with its heavy artillery. The continuous barrage of bombs exploding around them day and night had a devastating effect on the Pakistani intruders. The effectiveness of the IAF’s operations can be measured by the fact that Pakistan’s Foreign Minister Sartaj Aziz, rushed to New Delhi on June 12, and implored India to “stop its air strikes”. You don’t get more desperate than that. However, the most telling statement on the war was made by India’s then defence minister George Fernandes. In January 2000 he observed that in precipitating the Kargil War, Pakistan “had not absorbed the real meaning of nuclearisation – that it can deter only the use of nuclear weapons, but not all and any war”.